Chris Abadie serves as the Vice President and Manager of the Commercial Brokerage Division and is responsible for overseeing all aspects of commercial operations throughout each of Stirling Properties’ brokerage offices. His focus includes directing sales efforts, new business development and recruitment and training of new agents. Previously, he served 11 years as a Sales and Leasing Executive with Stirling Properties where he brokered retail tenant and landlord transactions, investment sales, office leases and industrial leasing and sales, in both the state of Louisiana and Mississippi. Since joining Stirling in 2001, Mr. Abadie has been an active member in the International Council of Shopping Centers (ICSC) and holds the designations of Certified Retail Property Executive (CRX) and Certified Leasing Specialist (CLS). He has also earned the designation of Certified Commercial Investment Member (CCIM) and is a member of the Louisiana CCIM Chapter. Chris is a member of the Commercial Investment Division of the New Orleans Metropolitan Association of REALTORS®. 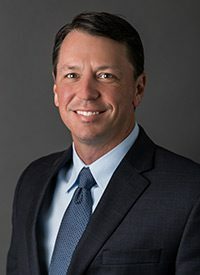 He currently serves as the 2018 President of the Retail Brokers Network (RBN), and as a member of the National Executive Committee, the Tenant Council, Investment Sales Council and the Southeast Regional Council. Mr. Abadie also currently serves on the Executive Board and General Board for the East St. Tammany Chamber of Commerce as well as the Workforce Development Board serving St. Tammany, St. Bernard and Plaquemines Parishes. Mr. Abadie is a graduate of Nicholls State University with a Bachelor’s Degree in Business Administration with an emphasis in Marketing.